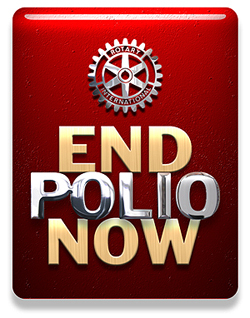 Welcome to the Rocky Mount Rotary Club! We are an organization of business and professional men and women from the Eastern North Carolina community of Rocky Mount, North Carolina, which is located near Interstate 95 about halfway between New York and Miami. Rocky Mount is a rail, commercial, and banking center that is known as the Gateway to Eastern North Carolina. We meet on Mondays, 1:00 PM at The DoubleTree Hotel at US 64 Exit 466 We begin with a hot meal served in buffet style. At 1:15 PM our President calls the meeting to order. Selected club members lead the Pledge and give the Invocation. Following announcements, recognitions, and Happy-Bucks, our featured Speaker is introduced at 1:30PM and will normally conclude at 1:50PM to take questions. The meeting is adjourned at 2:00PM after a Foundation Drawing and group recitation of the 4-Way Test. Our Club is active in Fundraising with Pancake Breakfasts in the Fall and Spring as well as a Christmas Party Reverse Raffle in December.During the school year we host area high school seniors as Rotary students of the month.In May,we award scholarships to two or more students selected from the students of the month participants. 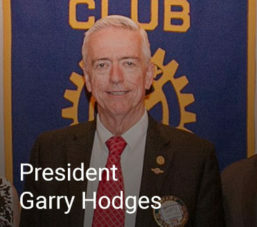 Visiting Rotarians and guests will find a warm welcome at the ROTARY CLUB OF ROCKY MOUNT. Lunch is $15.00 payable at the door or billed to you by our Treasurer.